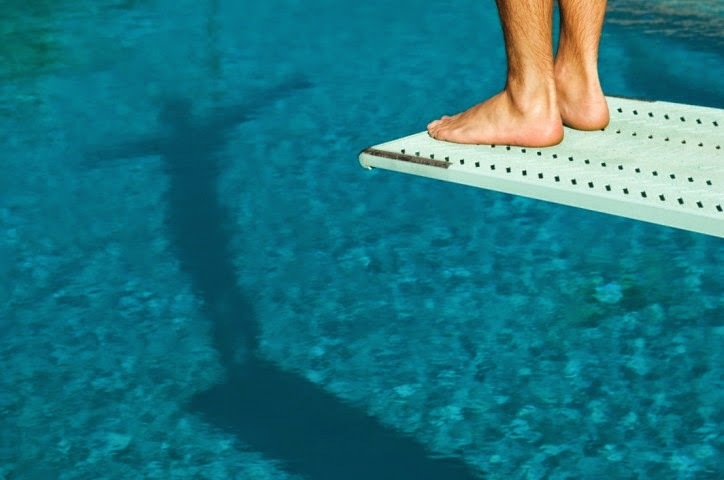 Time to Plunge Into Stocks? Back in August, I wrote a piece called “Why Cash is Not a Strategy.” I confessed then that like many people, I was sitting on more cash than I knew was good for me. Well, here’s an addendum: I’ve started moving off the sidelines. Yesterday I rode the market roller coaster with countless other investors, wondering how low it would go and how to react. Shock set in when the 10-year Treasury yield – a key economic indicator – dipped below 2%. Practicing what I preach, I decided to take the cash I’d been keeping on the sidelines and bought in when I saw the Dow drop 245 points. But it wasn’t easy particularly as I watched the images of red faced traders trying to make it through what turned out to be one of the worst days in the market in the last 4 years. My stomach flipped again when I saw the market had dipped further down 460 points and I thought should I have waited a little bit longer? When all was said and done, however, I felt secure in my decision to take action and I know I’ll hold what I bought for the next 20 years. Not a bad result for a three-hour emotional roller coaster. Buying when the market is dropping can be intimidating. It requires jumping in when everyone is selling. This is especially daunting for an investor just starting to test the waters and getting acquainted with the market. But think of it this way: buying on market dips is similar to buying something on sale. You’ve wanted it for a while, you know it is worth more than the sticker price and you’re getting a big discount. If we apply this principle to the market, it is the working definition of “buying low, selling high”. Taking a contrarian action is essentially what buying low means. For those of you (or us) sitting in cash, a selloff may be the perfect opportunity to dive in at the right price. We can take an example from the playbook of savvy investors. BlackRock data indicates that when the market dipped yesterday, a number of them bought in, putting their money into core exchange traded funds (ETFs) to the tune of more than $2B. These key players know how and where to seek value – you may want to follow their lead. Getting into the habit of buying in when the market hits a bump may be a good idea. My colleague Russ Koesterich highlights in a recent Blog post that volatility is likely here to stay for a while. We can see yesterday’s tumultuous ride as a lesson for the next dip. Stick to your long term view and don’t worry so much about the right now. Take advantage of discounted stock prices and hold on for the long haul. For the first time in three years, stocks have sold off big, with the Russell 2000, the small cap index, falling over 10% and the Dow Industrials plunging as much as 450 points in one session. It's been a rocky few weeks that has left investors shaken and on edge. But that's the thing about stock market corrections. They create buying opportunities. During bull markets, it's fairly easy to post solid numbers year-after-year in a portfolio. But who is still standing when the stuff hits the fan? When market sentiment turns negative, those with the guts to get in are rewarded. Two of the greatest investors in the last 75 years, both value investors, were tested in both bear and bull markets. Was it always easy? Heck no. John Templeton, the founder of Templeton mutual funds, was shaped by the stock market of the Great Depression. In the same vein, Warren Buffett made his fame by going on a buying binge during the Super Bear Market of 1972-1974. Great investors emerge when the going gets tough because that's when the greatest profits can be made. The classic definition of a value investor is someone who buys companies that are not on everyone else's radar. They are out of favor or, frankly, mocked. Both John Templeton and Buffett are known for being value investors. John Templeton put himself through college during the Great Depression and then set out to start his career on Wall Street during the worst possible time. It was the late 1930s and stocks, which had crashed during the Great Depression in 1929, still hadn't fully recovered. In 1939, with the world going to war, he decided to buck the convention that stocks stunk. He borrowed money to buy 100 shares each of 104 companies that were selling at $1 a share or less. Some might have thought he was crazy as 34 were in bankruptcy at the time. Ultimately, only 4 of the companies ended up being worthless and the rest went on to large profits. Warren Buffett hasn't always been 100% invested in stocks. But by 1974, after two years of stock market carnage during the super bear market of 1972 and 1973 which made stocks cheap, Buffett was back in the game. By the time the interview was set to run in the magazine, the markets had rallied 15% and Forbes asked him if he was still feeling the same way. 'I don't know what the averages are going to do next,' he replied, 'but there are still plenty of bargains around.' He told Forbes that the situation reminded him of the early 1950s. Recently, Buffett was back to his predicting ways, telling CNBC on Oct 2, 2014 that he had just bought stocks after they sold off big the day before. 'The more it goes down, the more I like to buy,' he said. Patience is also critical to being a great investor because market conditions don't always change on a dime. You have to be prepared to stand by your convictions, which can mean waiting a long time for sentiment to move your way. Buffett added to his positions in 2009 in the middle of the doom and gloom of the financial crisis and he just added to his positions again this month. Templeton held his 1939 investments on average for 4 years, despite a World War. Do You Dare to Be a Great Investor? Volatile markets are opportunities to elevate your investing game. The investing lessons of John Templeton and Warren Buffett are there for the taking. Both were value investors who looked for bargains when times got rocky. That's exactly the market conditions that we find ourselves in right now. Suddenly, some stocks that were trading at all time highs are down double digits and look attractive again. But with all the noise from television talking heads and the Internet and with thousands of stocks to choose from, how can you know where to even begin to find the right value stocks? Instead of going it alone to find the values, we can do the work for you. We offer a service that combines the most powerful value criteria like the PEG ratio with the timeliness of the Zacks Rank. It's a great way to catch value stocks at the right time - just as the market begins to recognize their real worth. We're not talking about cheap $1 stocks with risky fundamentals, but the kind of extremely undervalued stocks that later soar in price. This proven strategy outperformed the S&P 500 with an overall gain of +36% in 2013. Our success accelerated in the first and second quarters of this year as the market punished overvalued stocks. Currently Value Investor includes 24 stocks that are 'on sale' right now and are likely to head a lot higher in the months to come. Even more important, I'm currently tracking undervalued sectors with companies who show solid fundamentals, and today is the perfect time to get aboard at the ground floor for the full ride upward. This is a value service, so I am glad to report that starting today you can receive our best value stocks, plus recommendations from all of Zacks' portfolio services, for a full month at a total cost of just $1. I've built a large database over the years and keep adding to it. I can then screen various stocks and see which ones are overbought/oversold or if there is strength/weakness in a particular sector. In addition, I regularly look at the YTD performance of stocks, the 12-month leaders, the 52-week highs and 52-week lows. I also like to track the most shorted stocks and highest yielding stocks in various exchanges. What else? I'm a macro guy and love reading macro articles from various sources. In these markets, macro matters a lot more than an individual company's fundamentals and those who ignore the macro environment are doomed to underperform. I was recently contacted by Seeking Alpha to post some of my market thoughts on their site (was on there years ago but hardly posted). I try to read as much as possible and comment as well. A few articles on macro caught my attention. First, my former colleague from BCA Research and now partner at MRB Partners, Mehran Nahkjavani, wrote an insightful comment on the winners and losers in emerging markets as oil prices tumble. Mehran focuses on excess supply of oil but as you'll read from my comment at the end of his article, I believe the drop in oil prices has more to do with eurozone's deflation demons spreading to the rest of the word, including the United States. If that's the case, all emerging markets are in big trouble. Second, Michael Gayed, co-CIO at Pension Partners, wrote a comment on why the real correction is to come, stating "the intermarket movement thus far has been reminiscent of the Summer Crash of 2011, though not as violent nor severe yet." (Make sure you read Michael and Charles Bilello's paper, An Intermarket Approach to Tactical Risk Rotation: Using the Signaling Power of Treasuries to Generate Alpha and Enhance Asset Allocation). Inflation expectations, as shown by the TIP/TENZ ratio, now sits at support. If they break down from there, the Fed may be in trouble, as it suggests domestic deflationary fears would be rising. Small-caps could continue to outperform purely because of how oversold they are relative to large-caps this year, but there have been plenty of instances historically where equities fall even though small-caps are outperforming into the decline. Credit spreads on both the sovereign level and in the corporate space are the canaries in the coal mine. A continuation of their widening means the current correction is likely not over, could result in a panic, and bring a thematic change to how investors perceive not only the future, but central bank power to direct it. Should that occur, that would be the real correction to be afraid of. Michael, I agree with you, too many people are ignoring eurozone's deflation crisis and its potential impact on inflation expectations in the United States. I happen to think that inflation expectations are going to drop significantly and that's why the Fed is prepping markets for more QE. Interestingly, Dallas Fed president Richard Fisher was on CNBC this morning scoffing at the idea of more QE but he's a hawk and is underestimating contagion effects. One area where I disagree with you is on timing. I believe the real risk is the stock market right now is another melt-up, especially in biotech, small caps and technology. Once we get through this liquidity rally, then deflation will set in and hammer all risk assets. But this could be a few years away, imho. Timing is everything here. I'm actually amazed at how many people are ignoring the contagion effects of eurozone's deflation crisis and what this means for Fed policy going forward. Let me be blunt here, if inflation expectations in the United States continue to drop, the Fed will once again entertain the possibility of engaging in more quantitative easing ahead. Most commentators dismiss the possibility of more QE ahead but watch, if things get uglier in Europe and inflation expectations keep dropping around the world, I guarantee you more QE is on the way. And I think markets are starting to realize this which is why you're seeing risk assets take off after the latest selloff. But as I wrote in my last comment on the Fed prepping markets for more QE, you have to be very careful here or risk getting slaughtered. I would steer clear of energy (XLE) and materials (XLB) which are prone for more weakness ahead. They're bouncing back after suffering steep losses but use any relief rally to shed your positions in these sectors. I especially want you to be very careful of some energy companies where you can easily fall into the classic "value trap" thinking the worst is over and the fundamentals justify buying the dip or adding to your positions. The stock is unquestionably oversold and it's tempting to buy it here because it's due for a bounce and you can even collect a 17% dividend yield to cushion any further weakness in the price per share. You'll read an article on drilling for dollars that tells you now is the time to buy this stock. It's a no-brainer, right? WRONG! What this guy doesn't tell you is that other oil drilling stocks like Ensco (ESV), Noble (NE), and Transocean (RIG) have all been pummeled in the latest selloff and they all have high dividends which they will be forced to cut if the price of oil drops further. Also, some of these companies have weaker balance sheets than others, putting their dividends at higher risk (and if they cut their dividend, shares are going lower). Sure, these stocks can bounce up from these oversold levels but I would use any relief rally here to shed positions or short them, not initiate or add to your positions. I can say the same thing about plenty of other energy and commodity stocks. Be very careful buying the dips here because there will be further weakness in these sectors, you will end up regretting it. And it's not just energy and commodities. This market is becoming more and more selective. I tell all my friends and family to be careful with a lot of stocks, especially high dividend stocks. I think some will outperform in a deflationary environment (because rates will remain low for many years) but others are going to get slaughtered. Closer to home, there are a lot of Canadians invested heavily in Canadian banks because of the dividends they offer and their nice outperformance since the financial crisis erupted but there too, I would be very careful. I remain short Canada and think much darker days lie ahead as oil prices continue to tumble and euro woes hit us too. There are a lot of things on my mind right now. A lot of scenarios playing out in my head and I'm trying to gauge the risk of each one of them. I continue to favor small caps (IWM), technology (QQQ) and biotech shares (IBB or XBI) that have sold off lately. These are extremely volatile and risky but there is a great secular story here that will play out for many years to come. Keep an eye on companies like Acadia Pharmaceuticals (ACAD), Avanir Pharmaceuticals (AVNR), Idera Pharmaceuticals (IDRA), Biocryst Pharmaceuticals (BCRX), Progenics Pharmaceuticals (PGNX), Seattle Genetics (SGEN), Threshold Pharmaceuticals (THLD), TG Therapeutics (TGTX), XOMA Corp (XOMA). I would take advantage of the latest selloff to add to some of these biotechs. I also like Twitter (TWTR) and see a bright future for this social media stock. Are there other stocks I like at these levels? Yes but I'm waiting to see what top funds bought and sold in Q3 before delving into more stock specific ideas. All I can say is tread carefully here and know when to buy the dips and more importantly, when to sell the rips. Below, Richard Fisher, Dallas Fed president, says the U.S. economy is improving and he sees no reason not to raise interest rates by spring of 2015. I'm amazed at how Fisher, a well-known hawk, completely dismisses the contagion effects from eurozone's deflation crisis and how it's influencing U.S. inflation expectations. He's wrong and the threat of deflation will force him to change his views in the months ahead. CPPIB's Risky Bet on Brazil? The United States of Pension Poverty? Surge in Confidence Among Global Funds? A New Pan-European Pension Fund? Behind Private Equity's Iron Curtain? Fed Prepping Markets For More QE? Beyond Public Sector Pension Envy? Are Europe's Deflation Demons Spreading? What's Up With This Crazy Stock Market? The Brutal Truth on DC Plans? All Hail the Mighty Greenback? At the Epicenter of a Euro Crisis? Trouble Brewing at Canada's Private DB Plans? CalPERS Drops a Hedge Fund Bomb?